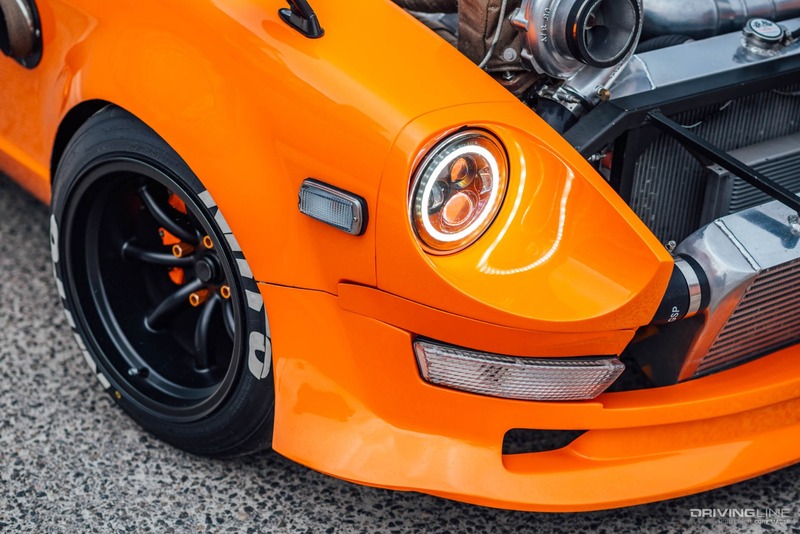 The origin stories of nearly every instantly recognizable build throughout the automotive landscape includes a little luck, some good timing and a whole lot of hard work. 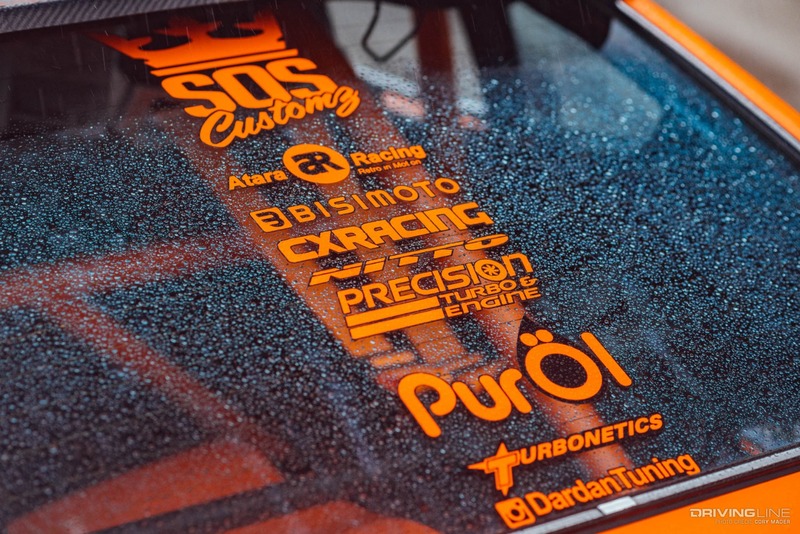 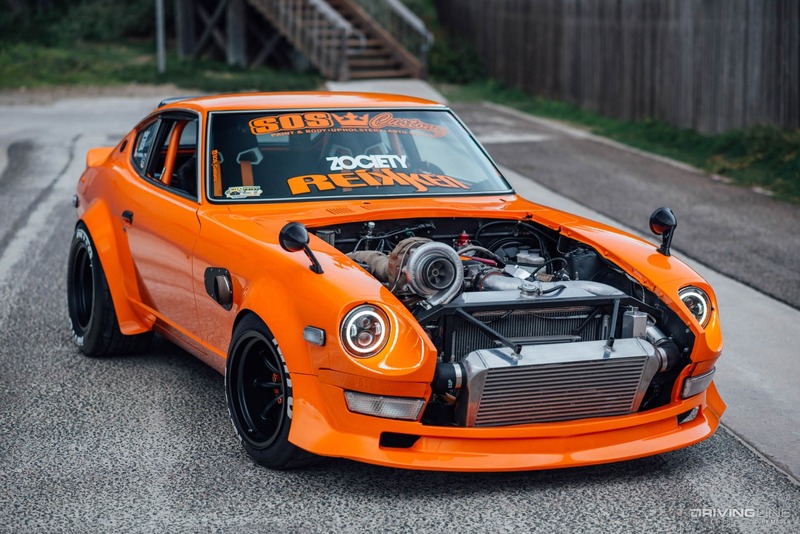 The SOS Customz Datsun is no exception. 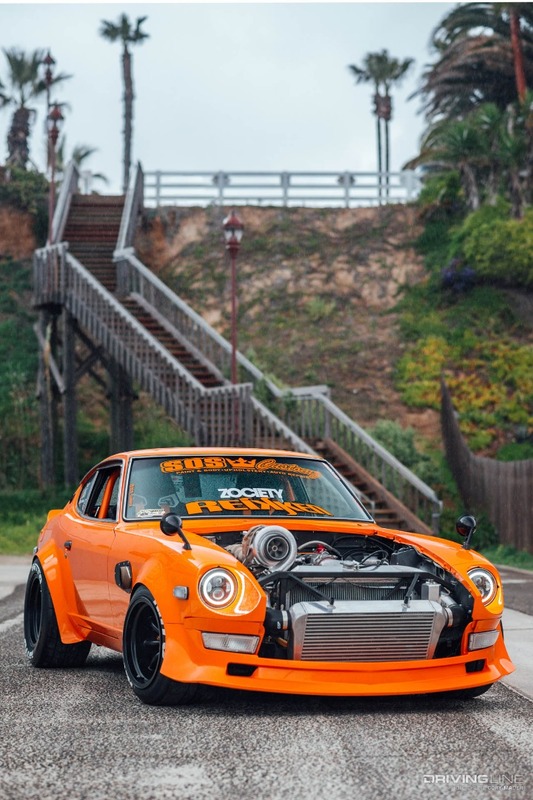 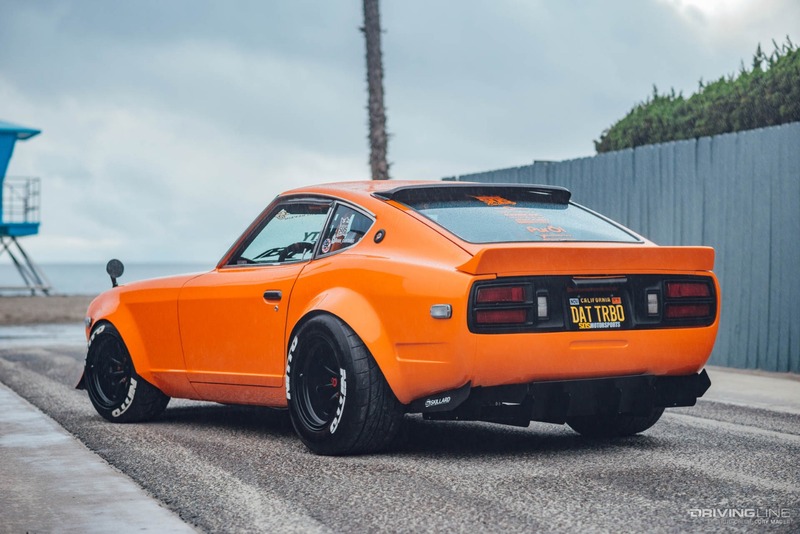 This 240Z began its new life after the first motor gave out, leaving a rolling shell with minimal rust. 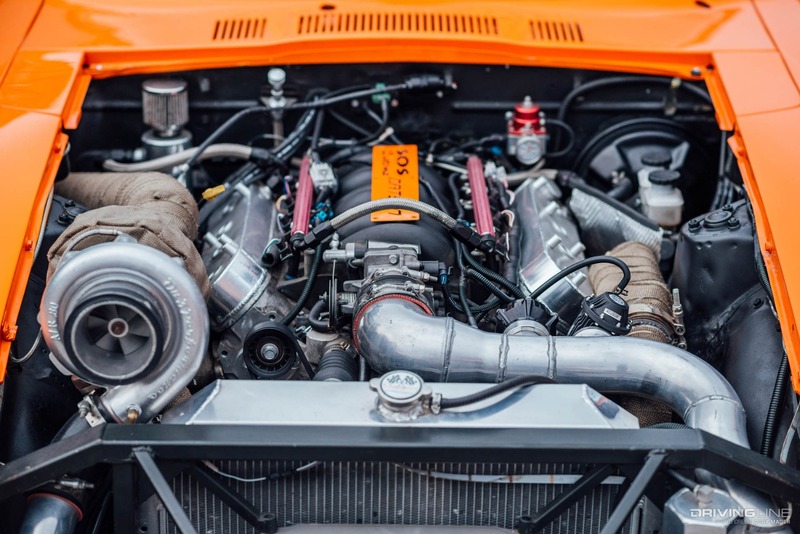 Here’s where the luck and timing kick in: A friend’s wrecked Corvette had a powerplant looking for a new home, and the Z had just the home it needed. 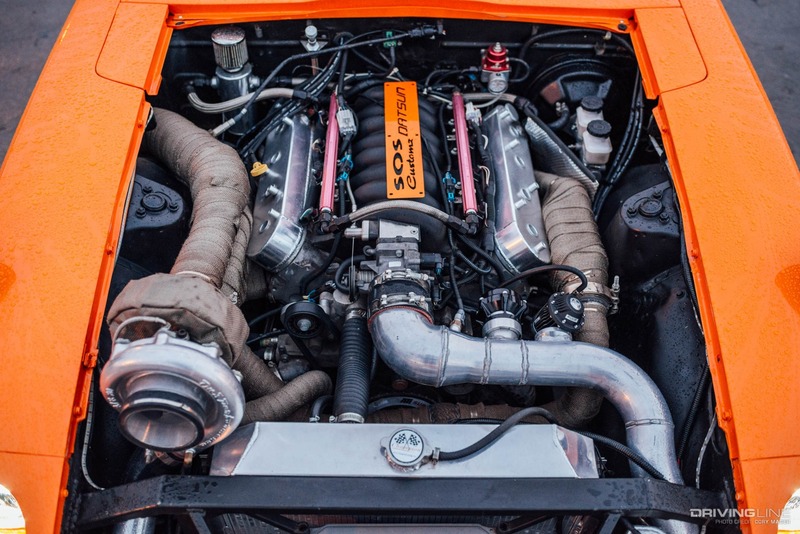 With the motor in and bolted to the 4L60e transmission, more power was added via the prominent On 3 Performance turbocharger paired with an HKS blow-off valve. 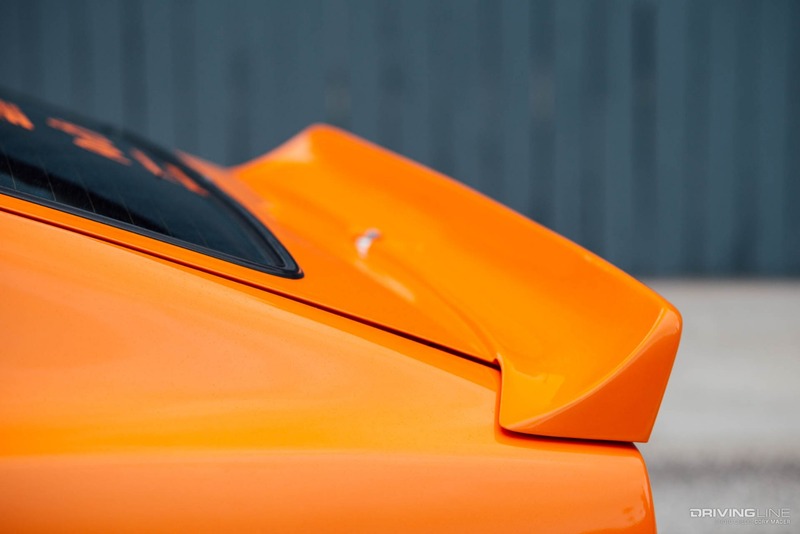 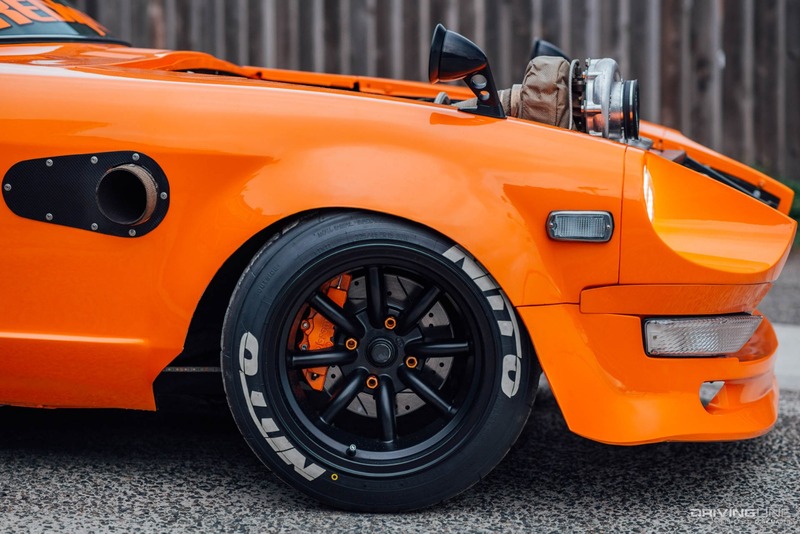 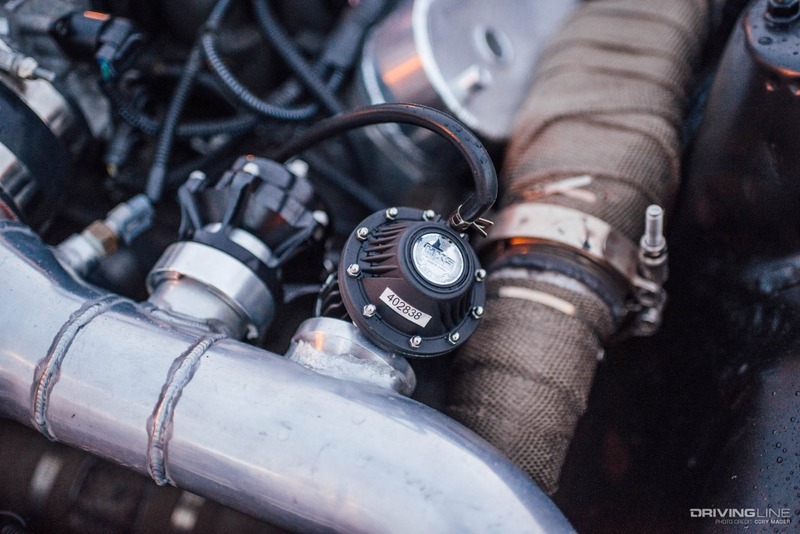 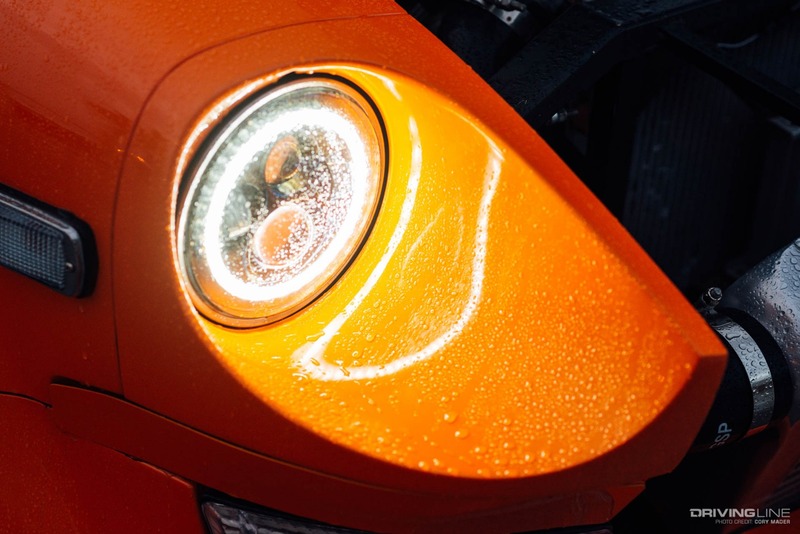 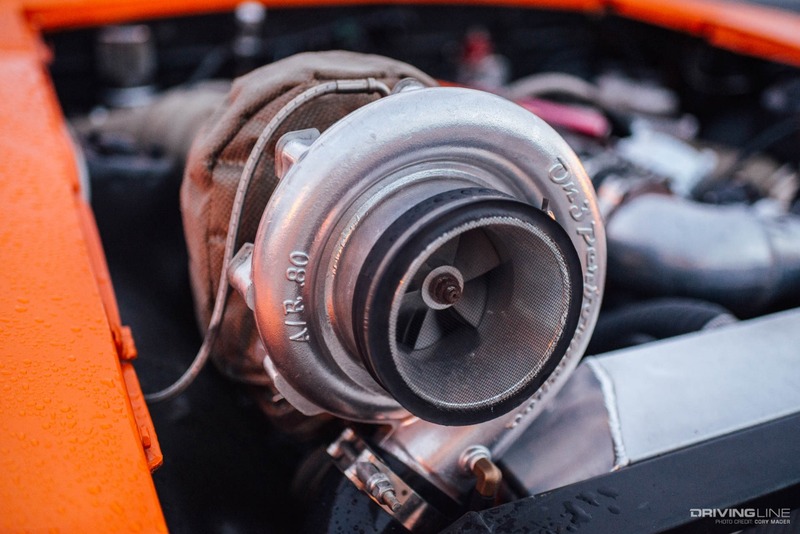 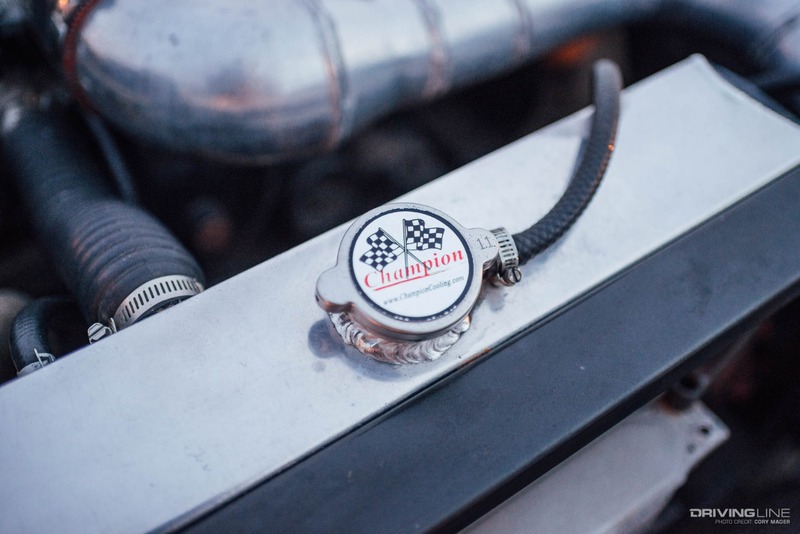 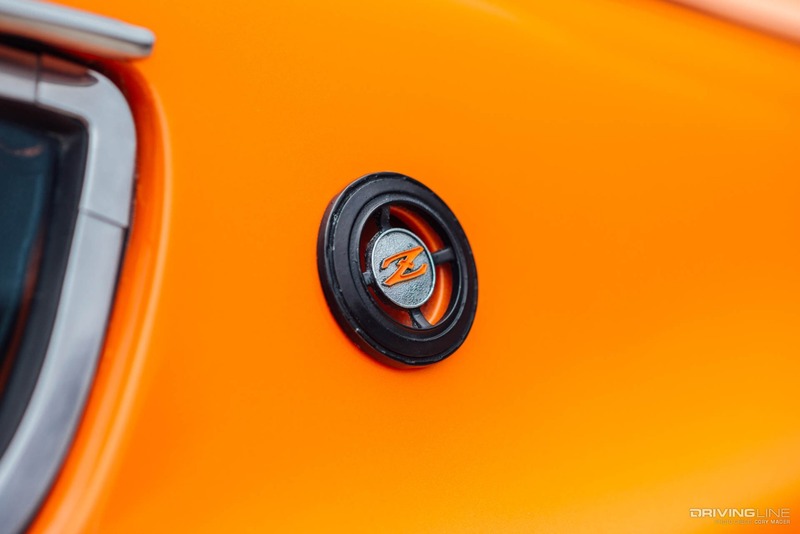 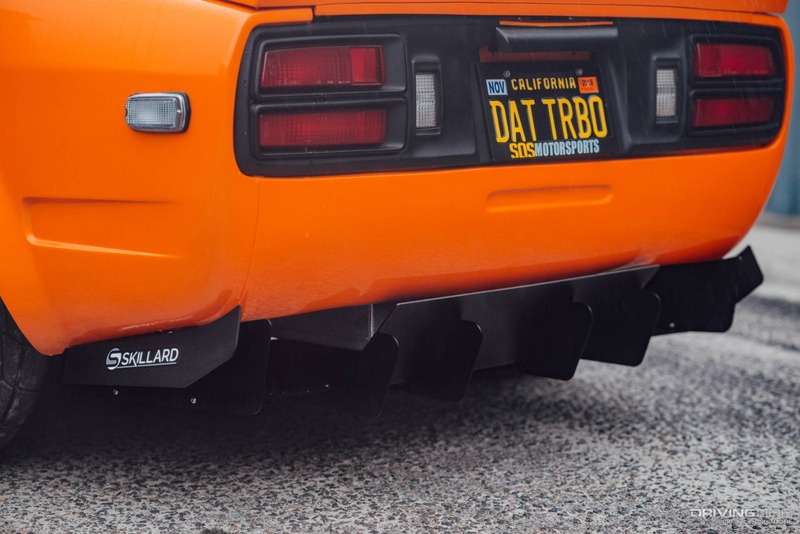 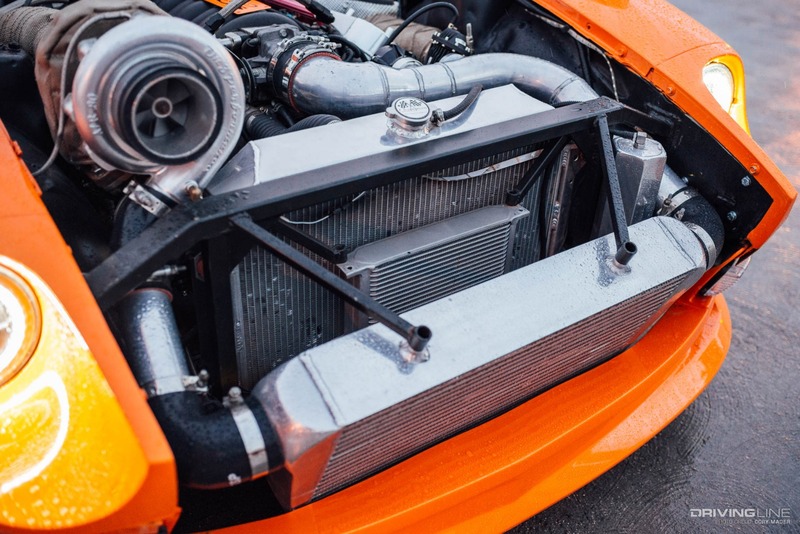 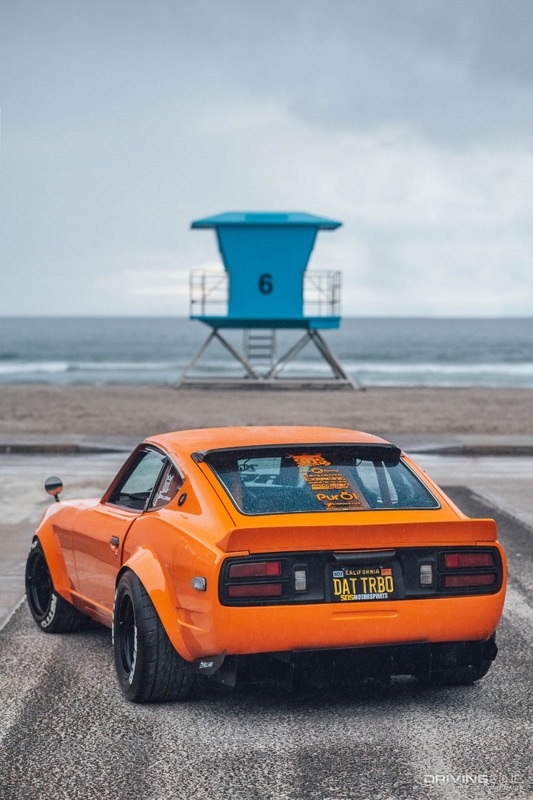 While the turbo housing requires trimming to the Seibon hood (not pictured), it’s undeniable that the placement and prominence grabs everyone’s attention just as much as the Z’s bright-orange exterior does. 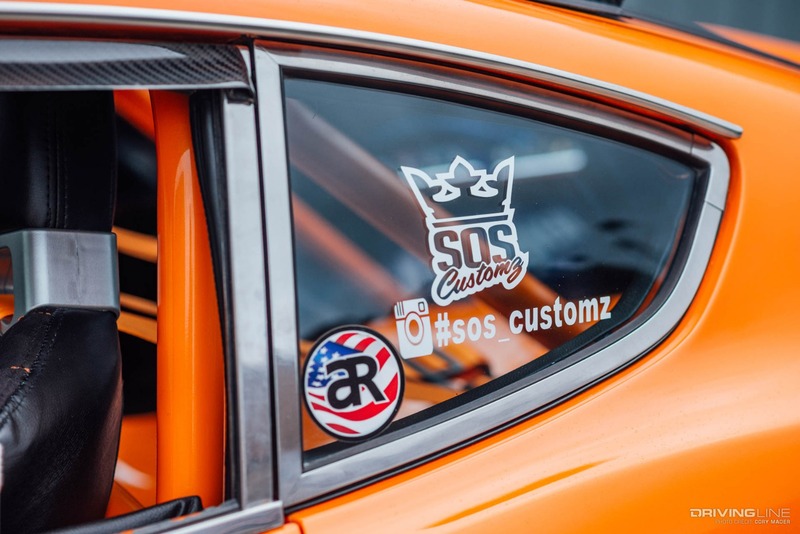 Now that the shell had a heartbeat, the SOS Customz team moved to the outside of the car and did what it does best. 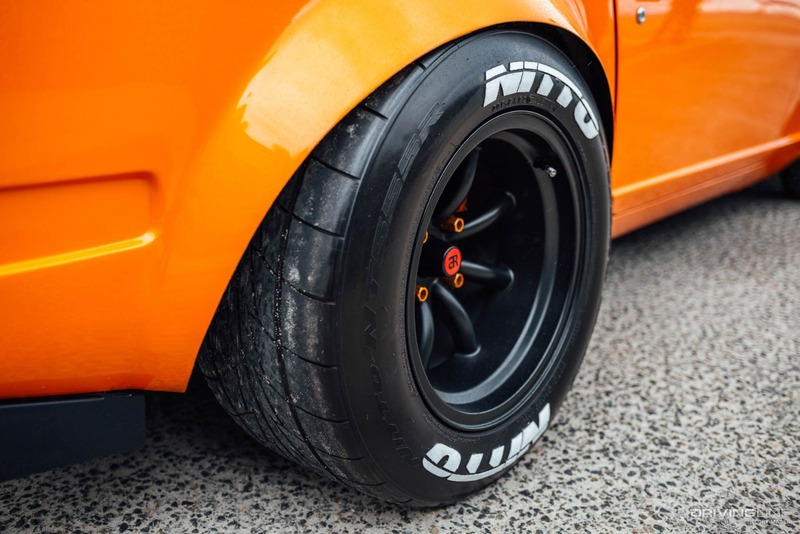 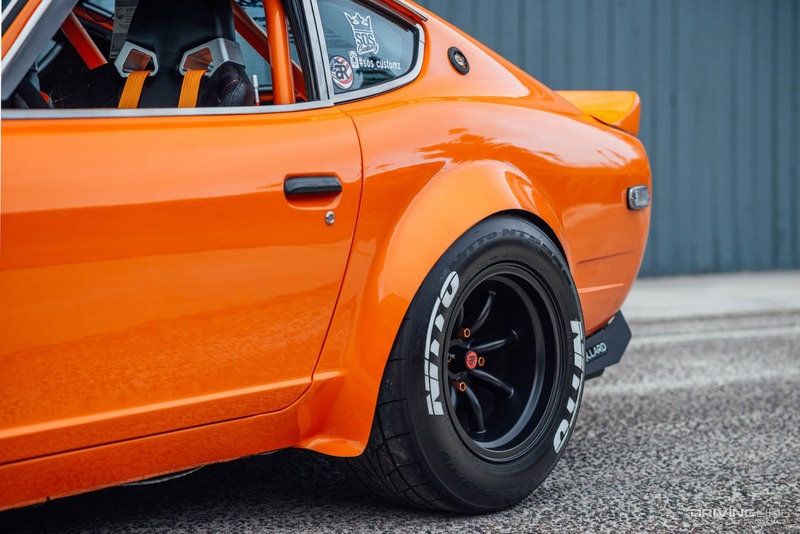 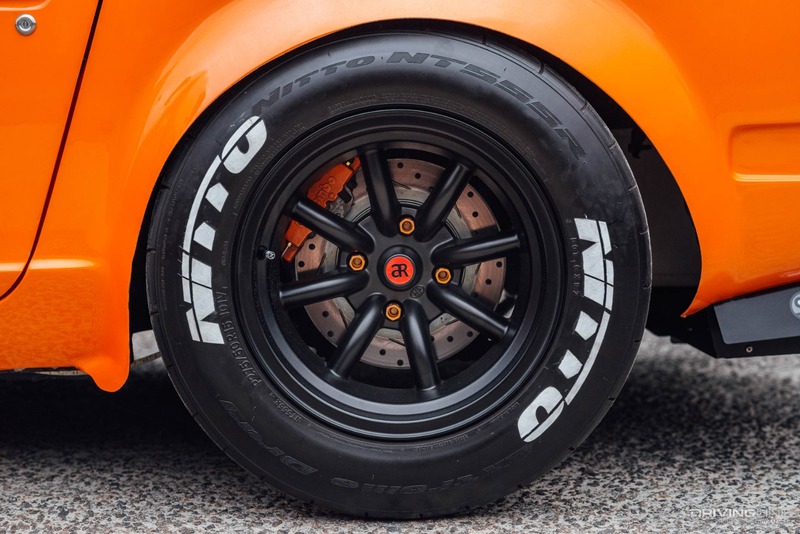 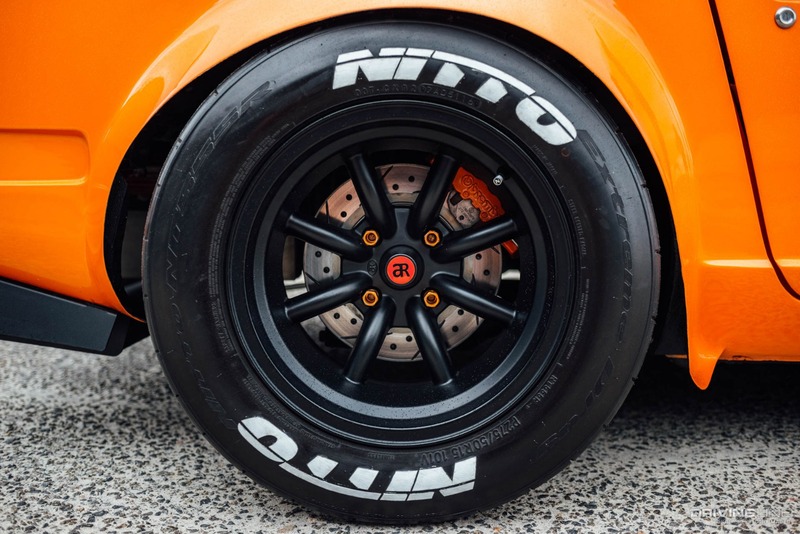 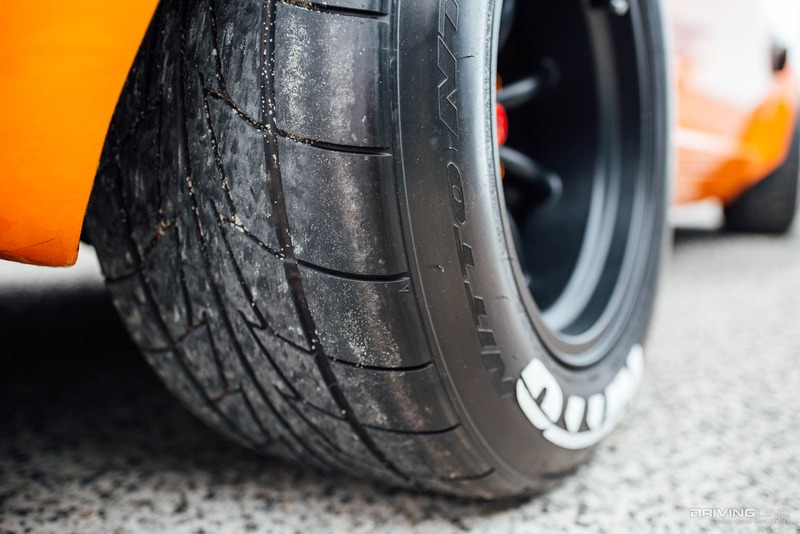 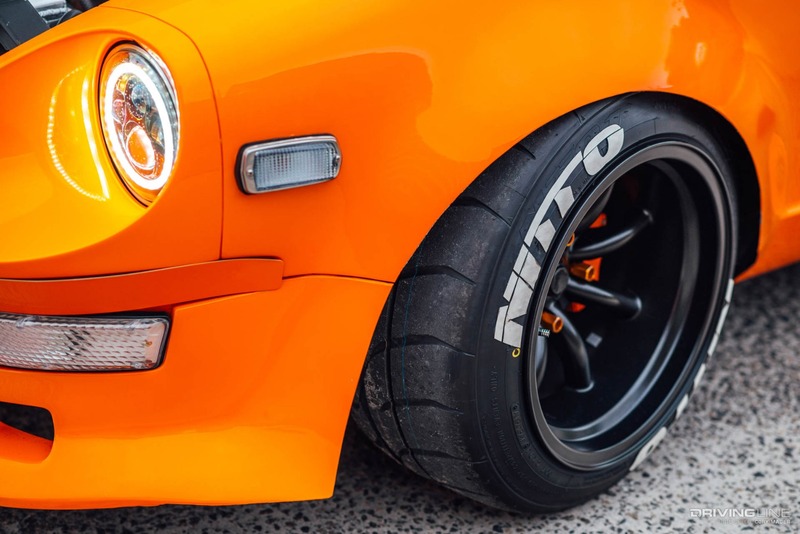 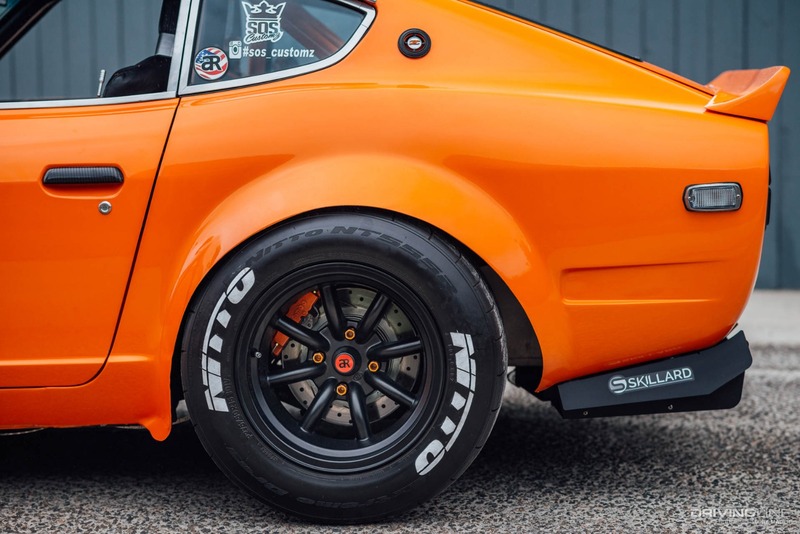 An all-custom, all-metal widebody was formed and fitted to the chassis, allowing for some meaty Nitto tires to fit around Atara Racing wheels on all four corners. 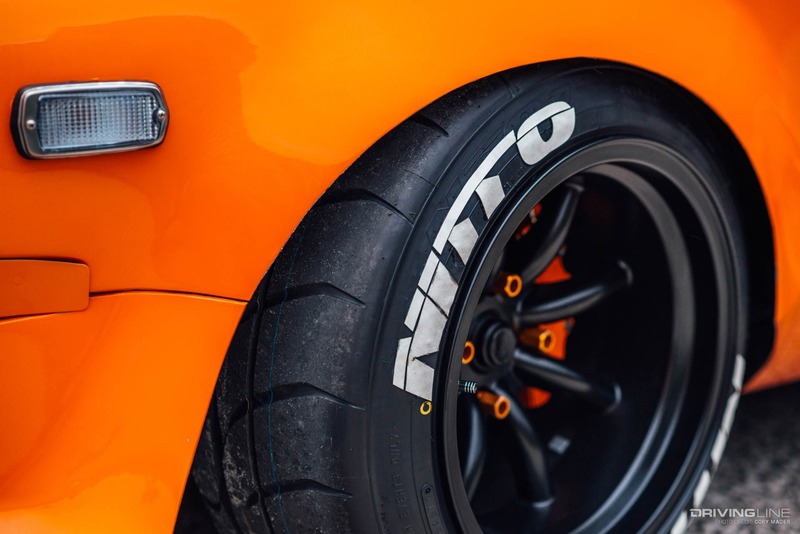 CXRacing coilovers and a Brembo big-brake kit help bring the car down to earth and to a halt—both are absolute musts when going from the factory 150hp to the current +600hp figure. 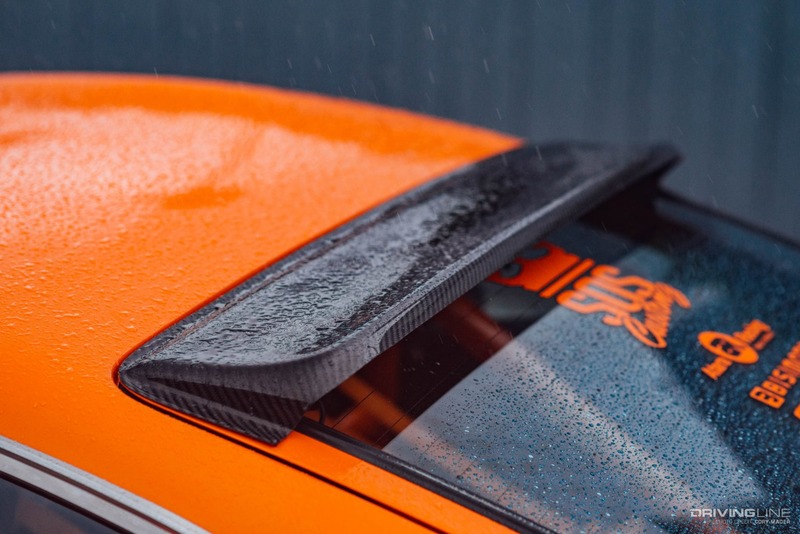 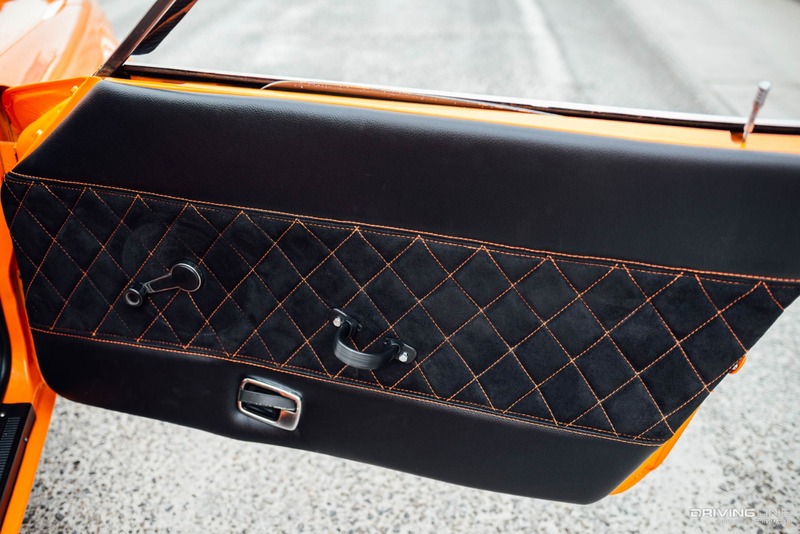 Before finishing off the exterior with the signature orange-pearl paint, the custom side-exit exhaust was routed through the passenger front quarter-panel and given a carbon-fiber heat shield to help protect the panel’s finish. 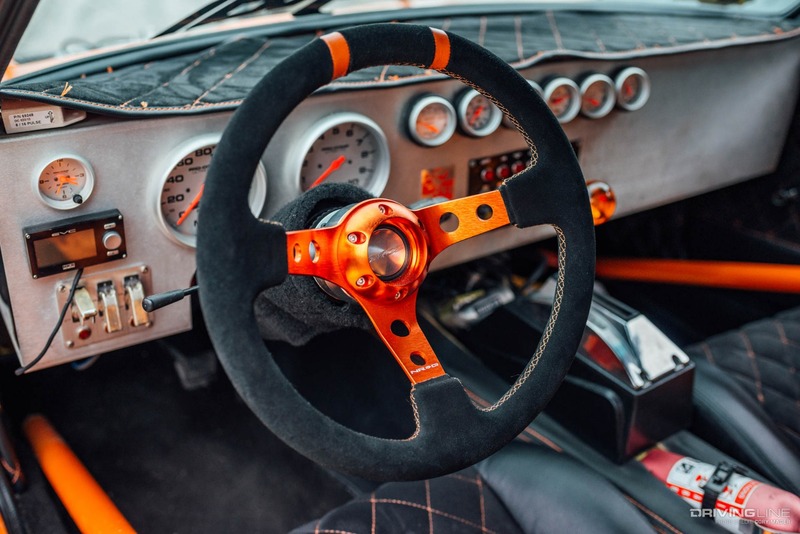 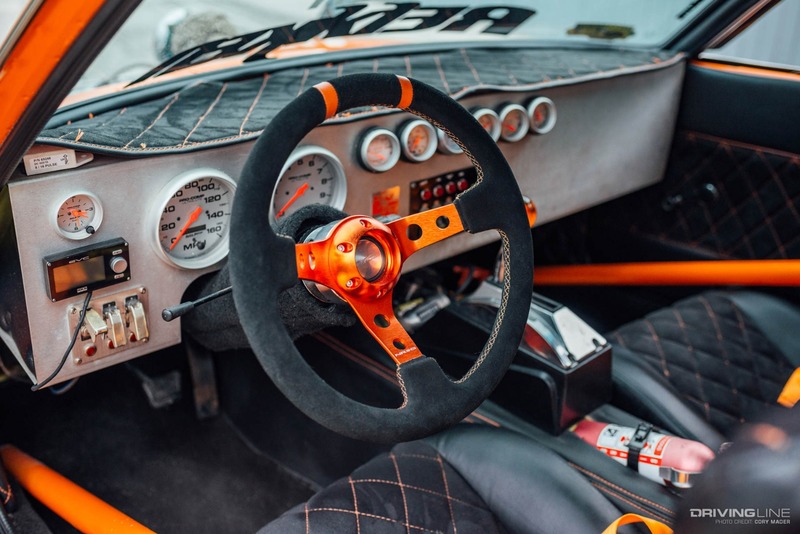 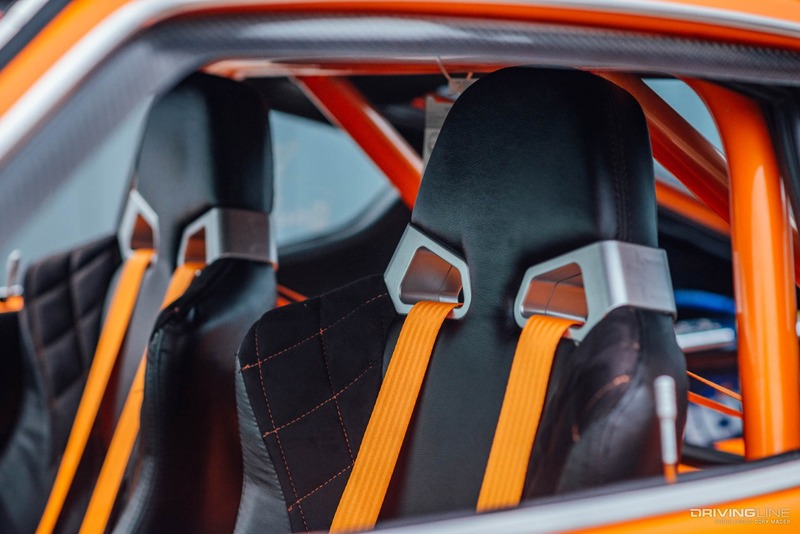 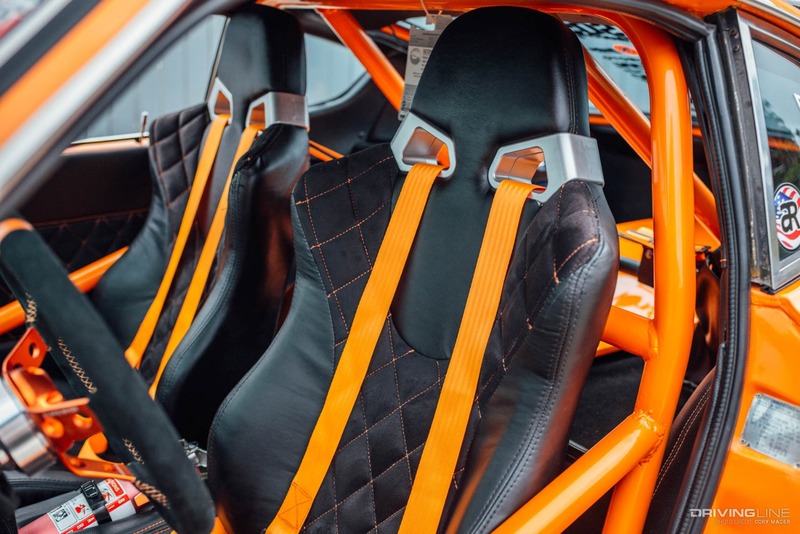 From there, attention was moved to the 240Z’s interior, where the orange-on-black colorway continues throughout the cabin. 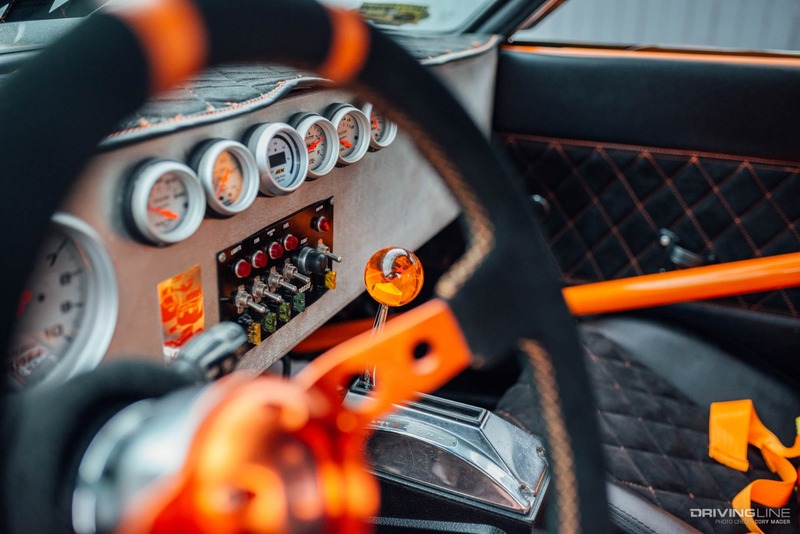 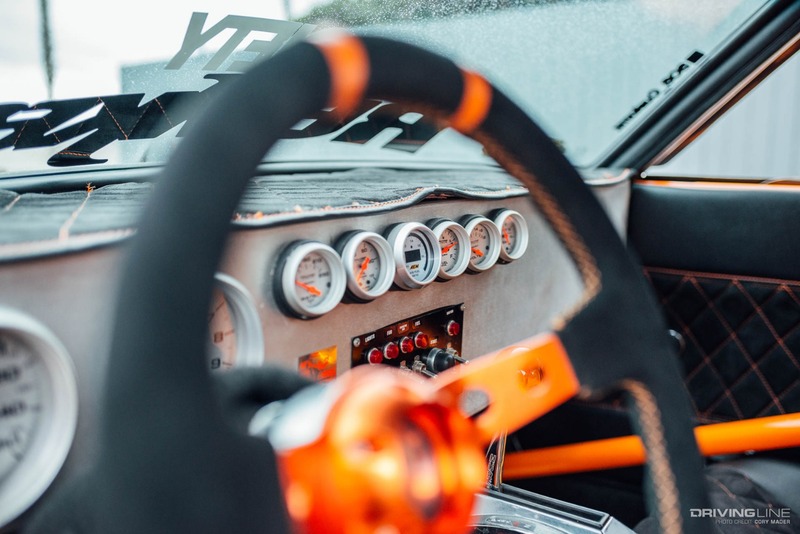 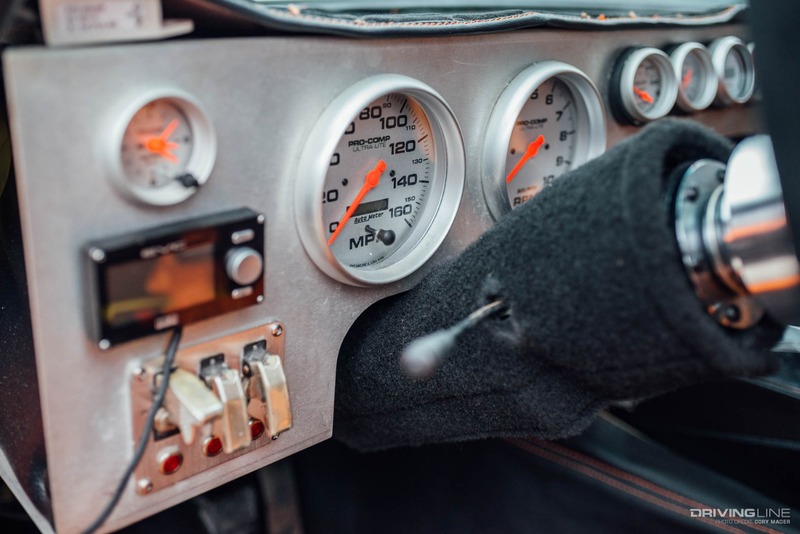 A custom aluminum dash houses a litany of functional AutoMeter gauges and switches, conjuring images of taking off in a fighter jet each time the car is started. 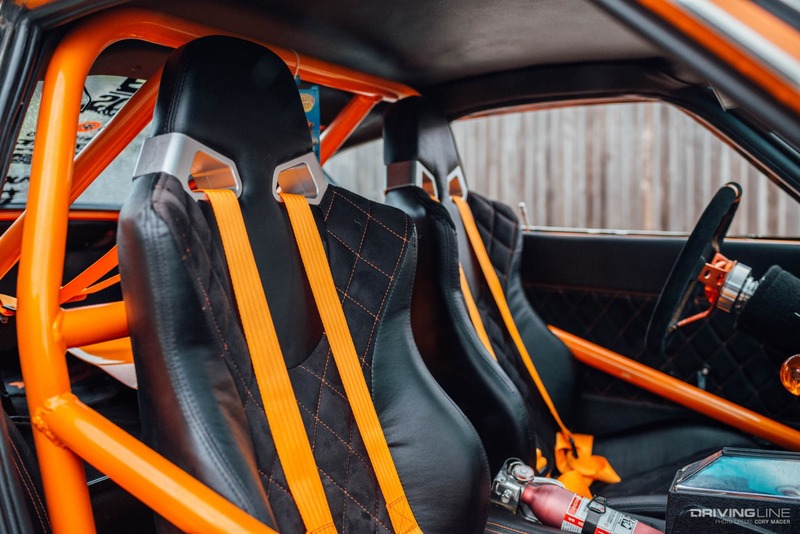 Nearly everything else in the cockpit is an SOS Customz custom, from the dash cover and door cards to the reupholstered race bucket seats and rewrapped NRG steering wheel. 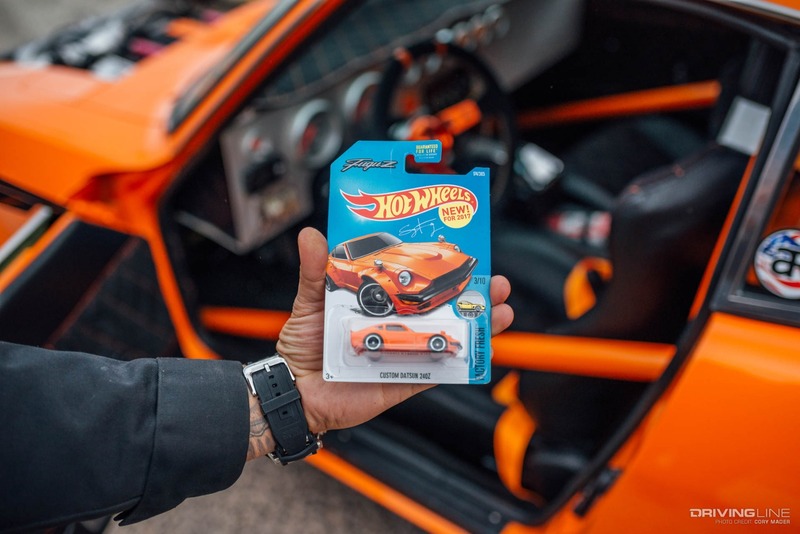 The finishing touches are the Dragon Ball topping the Hurst shifter and orange FuguZ Hot Wheels car hanging from the rollcage, bringing some additional fun to the build. 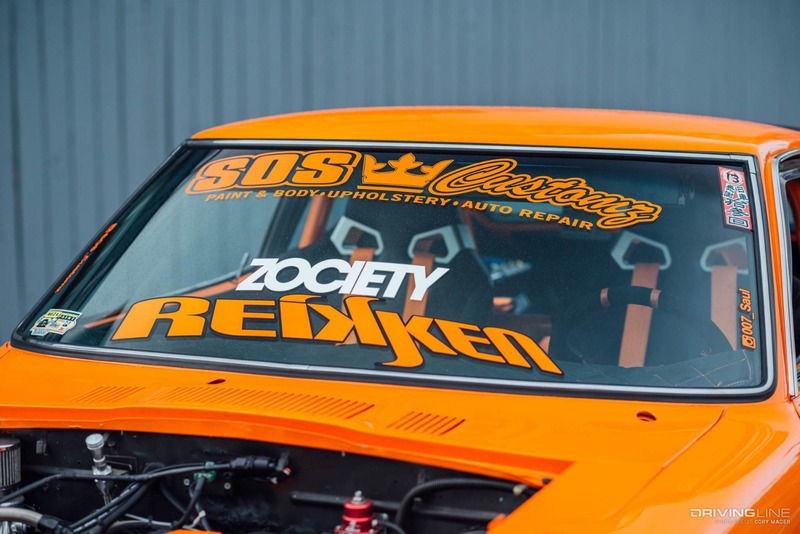 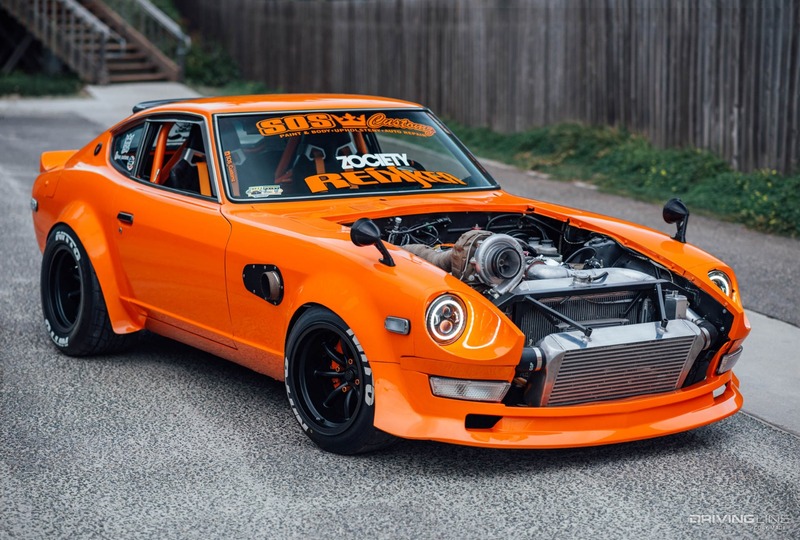 While it may seem like this Z is another show queen with an engine swap, the SOS guys tell us drag racing is in the Datsun’s future; with some luck, good timing and a lot of hard work, we’re sure some drag trophies will take their place alongside the car-show plaques at SOS Customz headquarters.